Intimacy is thecritical fuel for Kingdom work during the Mercy Season. To have intimacy you need to have a highly functional community. Cost includes 428 days of access after purchase date. 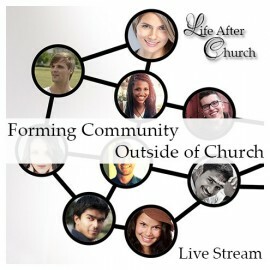 For many people the strongest component of their church experience was the community. When God called them out of the institutional church there was not a community that they could easily plug into. We generally are born into community or placed into a community like in a class at school or hired into the community of a workplace. It is a very different skill to intentionally build a community that brings us to the point of intimacy AND gets the job done. Realistically there are many people who we cannot effectively include in the inside circle of our community. Their values are different, or their woundedness is still too acute. They can neither do intimacy nor task. This teaching will give you a useful grid for identifying and engaging with people who you will ultimately build community with, but it is based on skilled risk taking, when you cannot yet trust the other person. The Holy Communion service looked extensively at trust through the grid of Jesus’ journey here on earth. His finest triumph was returning His spirit to intimacy with the Father after the tragedy of feeling abandoned. And is there more trust both directions than five years ago? How can you consistently increase the level of trust in your community? And what tasks can you do when the level of trust is twice as high as it is now?